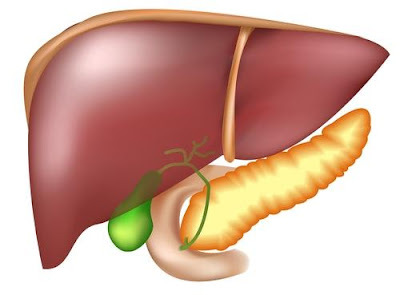 Liver is one busiest organs of the body.Liver producing bile for digestion to eliminating toxins from the body,do you know that liver performs more than 500 different functions in the body. Unfortunately, with modern-day lifestyle (increased junk food consumption, heavy drinking, incessant smoking, skyrocketing stress levels and self-medication), liver diseases are emerging rapidly.But there are some way by which you can reduce the effects of these ill habits on your liver and keep it healthy. Amla or Gooseberry Indian gooseberry or amla is known as one of the richest sources of vitamin C.This herb has been used extensively in Ayurveda for the treatment of sluggish liver; now researchers are finding in laboratory studies that extracts from amla have liver-protective function. Amrith is the best herb that Ayurveda considers to have rejuvenating properties and is commonly grown in many kitchen gardens.Amrith does not cause any significant complications even when used for long-term. Licorice used in Ayurvedic remedies to cure liver ailments like non- alcoholic fatty liver disease. In this condition, the blood level of transaminase enzymes called ALT and AST increase to harmful levels for the liver.How to take - Powder Licorice roots at home and add the powder in boiling water while making tea. Steep it for a few minutes and then strain the liquid. Turmeric or Haldi is fully loaded with valuable antioxidants, turmeric is an important herb that improves liver health. According to recent research have shown that the antiviral action of turmeric is effective in preventing multiplication of the viruses causing hepatitis B and C.
Vegetables contain ingredients that help the liver secrete greater concentrations of important enzymes. In turn, these enzymes help excretion of potential carcinogens (cancer-causing substances) from the body.Carrot,broccoli,Beet,cabbage and garlic are some vegetables having such an action. broccoli, onion and garlic are believed to provide sulfur to the body. This helps detoxification reactions carried out by the liver, preventing damage.